This block of the month will be offered on the first Saturday of the month for 6 months. We will construct 2 blocks each month using your Accuquilt Cutting system, for a total of 12 blocks. Class will run from 10:30 to 1:30 Cost is $15 per month. Patterns will be supplied by us and you will use your own fabric choices. The only "yardage" needed will be your borders and contrast fabrics, if you want it consistent through out the quilt. This can be a scrap buster project using up your scraps for the sampler. The sample in the shop is made using the 8 inch cube. You will bring in your dies and cutters if you have them. If you are new to Accuquilt we will have a cutter and 8" cubes for you to try! 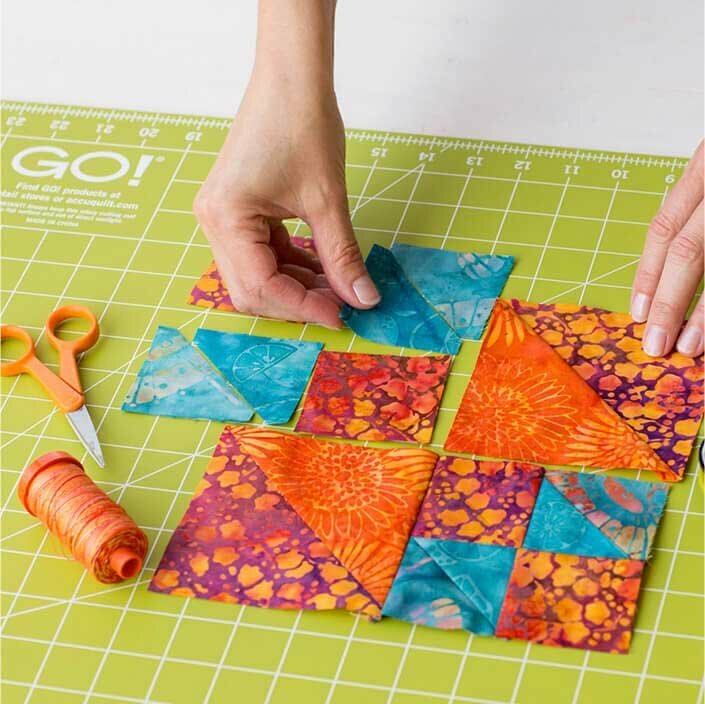 This is a technique class teaching you to use the Accuquilt System to precisely cut your units to make your blocks!